Applying a graph-based learning algorithm usually requires a large amount of data preprocessing. As always, such preprocessing can be harmful or helpful. In my talk I am going to discuss statistical and theoretical properties of various preprocessing steps. We consider questions such as: Given data that does not have the form of a graph yet, what do we loose when transforming it to a graph? Given a graph, what might be a meaningful distance function? We will also see that graph-based techniques can lead to surprising solutions to preprocessing problems that a priori don’t involve graphs at all. 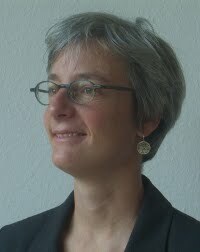 Ulrike von Luxburg is a professor for computer science/machine learning at the University of Hamburg. Her research focus is the theoretical analysis of machine learning algorithms, in particular for unsupervised learning and graph algorithms. She is (co)-winner of several best student paper awards (NIPS 2004 and 2008, COLT 2003, 2005 and 2006, ALT 2007). She did her PhD in the Max Planck Institute for Biological Cybernetics in 2004, then moved to Fraunhofer IPSI in Darmstadt, before returning to the Max Planck Institute in 2007 as a research group leader for learning theory. Since 2012 she is a professor for computer science at the University of Hamburg.